Panoramic ocean and city views with lots upgards. 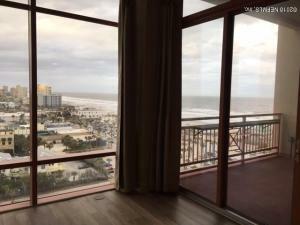 From your home to look at the Jacksonville Beach pier. Staying at home watch July 4th fire works and Blue Angels. 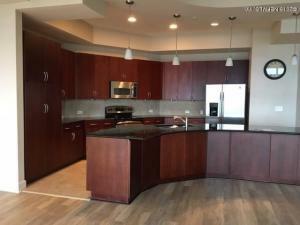 12 feet minimum ceiling height, open floor plan, modern design, granite counter top in kitchen and bathroom. 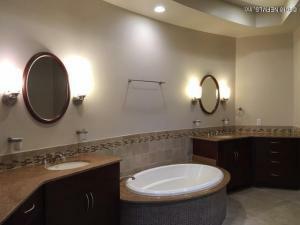 Tile in kitchen & bathroom; Hardwood floor in 2 bedrooms. Master bedroom, living & dining are high end woodlook floor. Enjoy life in this great ocean view condo. Only 26 homes for the whole building. Has security guard in the lobby.2 assigned parking inside gated parking garage. Extra parking can rent from building owner for a fee. Storage room at 2nd floor. flat roof with elevtor access.Lots restaurant walking distance. minutes to beach walking. Owners also offer seller financing. also for rent MLS:920731. This home has been on the market since Feb 12,2018. Courtesy of REBATERENTALS.COM REALTY INC.